Expert advisors for Metatrader 4 platform are automatic systems which trail (close) orders using one of selected algorithms. 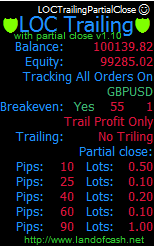 These types of EAs are designed to monitor every position you open and move the order stoplosses in profit pip by pip on every tick. 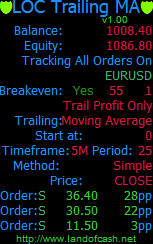 EAs can start trail in profit only or immediately after order is placed. 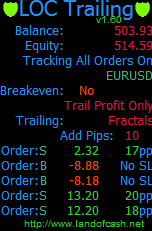 You can define a level when to move the stoploss of the order into breakeven and protect the profit. This kind of EA doesn’t open orders itself. The EA only manages order stop losses which were opened by hand or by other EA. 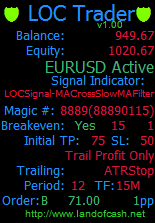 Different MT4 tools and plugins to simplify manual trading and automate common trading tasks.